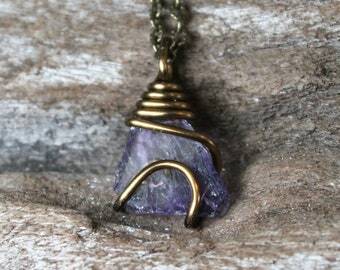 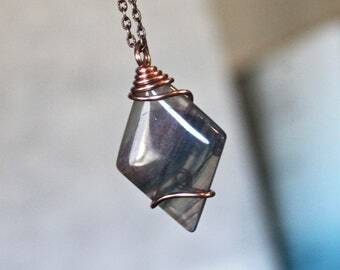 5 natural fluorite stones have been wire wrapped in bronze wire and attached to handmade bails. 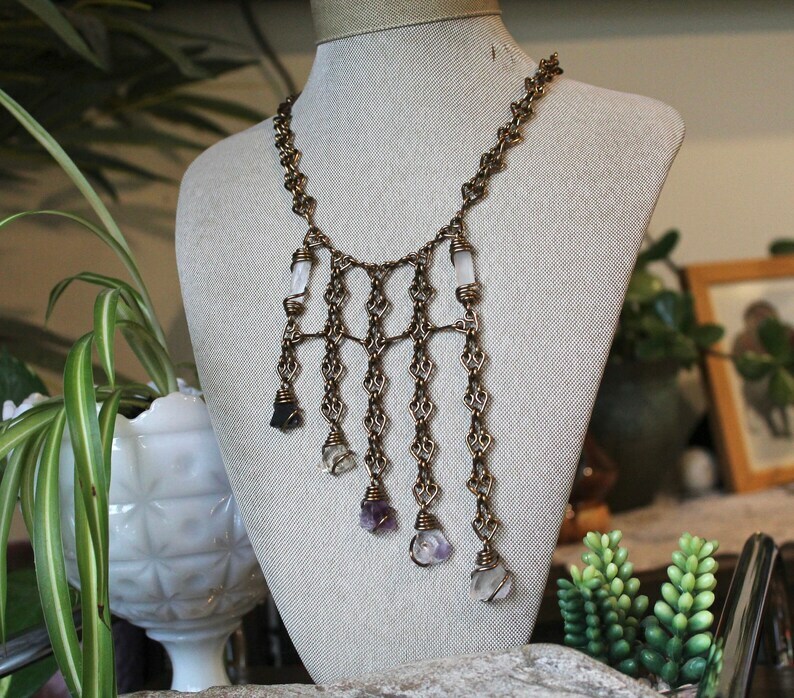 The fluorite stones come on one of our *signature handmade* bronze chains which also has natural quartz crystal points wrapped into it! 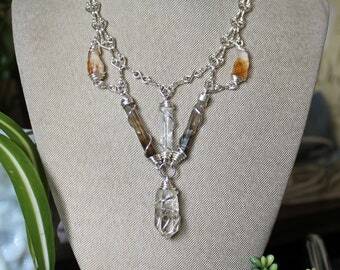 The entire length of the fluorite & quartz necklace is 17 inches. 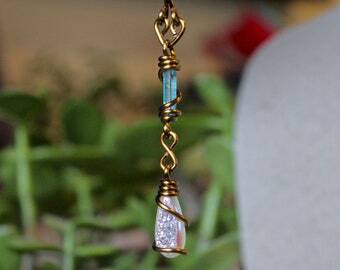 *If you would like a custom length please contact us! 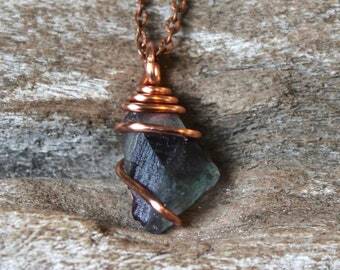 *Each fluorite stone measures between 3/4" - 7/8" long. 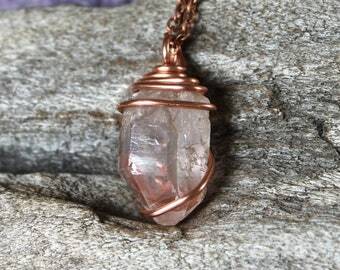 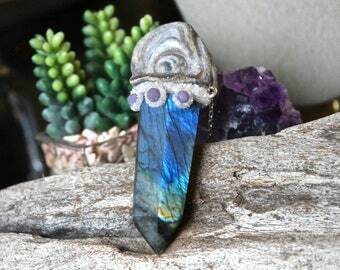 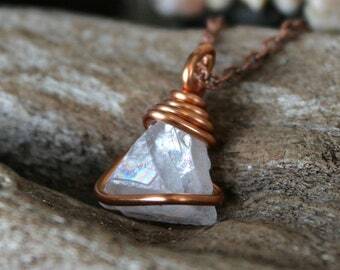 *Each quartz crystal point measures 1". 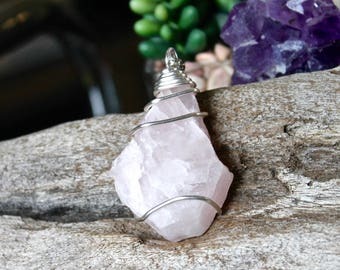 *The shortest bail hangs about 3" long; the longest bail hangs about 5.5" long. 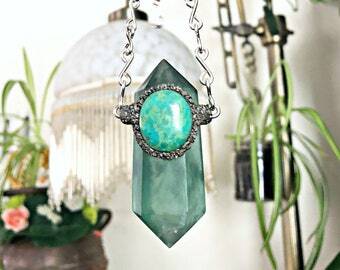 Please take a look at all 10 photos to get a better idea of the true size and beauty of this statement piece! 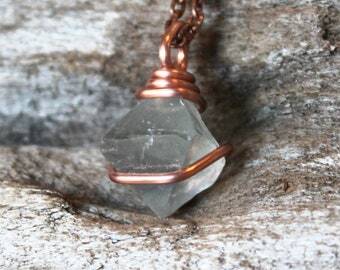 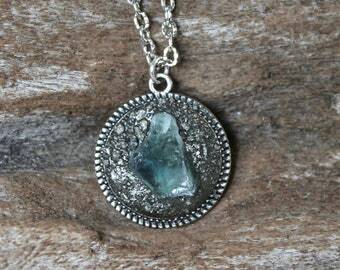 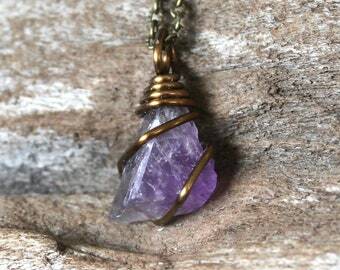 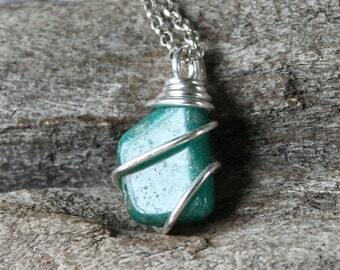 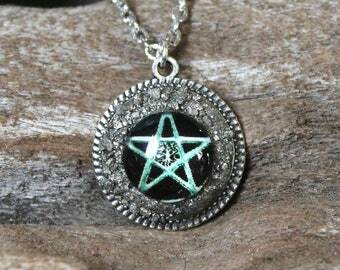 You will receive your fluorite necklace in a lace gift bag, wrapped and ready for gift giving!